India is the land of festivals and every festival has its own significance. Today, November 7 is Diwali or Deepavali, which is the festival of light indicates the triumph of light over darkness, good over evil. It falls on the day of ‘amavasya’ or new moon in the Hindu month of Kartik. Diwali begins at the end of the cropping season and is often associated with wealth and happiness. According to mythology, the festival is mentioned as Deepapratipadutsava in the seventh century Sanskrit play Nagananda, where newlywed couples were given gifts and lamps in remembrance of Lord Vishnu and goddess Lakshmi’s marriage. Deepavali is also referred to as Dipamalika in the famous Sanskrit poet Rajasekhara’s ninth century work Kavyamimamsa, where traditions of homes being cleaned and decorated with lights are mentioned. Hence, during this time, it is a ritual to clean rooms and offices and adorn houses with lights. Preparations for Diwali start a few weeks before the festival date. Homes lit up with diyas (traditional Indian lamps), walking under a canopy of fairy lights on the streets and laying out vibrant and beautiful rangolis, there are many ways of setting off the celebratory vibe ahead of Diwali. 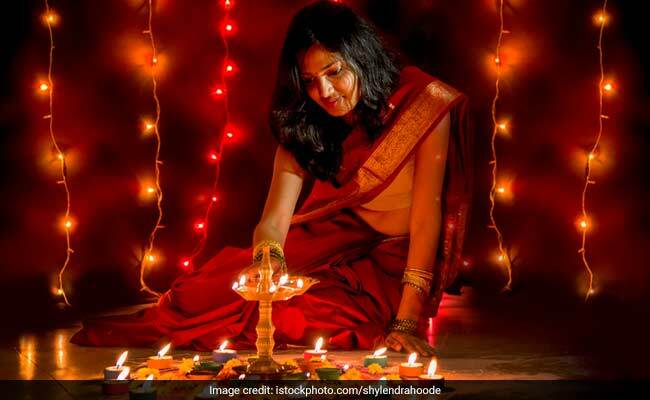 Diwali rituals typically extend over a five-day period. During the festive period, people collectively participate and partake in the celebrations of Diwali by exchanging greetings and gifts with loved ones and indulging in lavish feasts. They also clean and furnish their houses and decorate them with rangolis, diyas and bright lights and worship Goddess Lakshmi, the goddess of prosperity and wealth, and Ganesha, the remover of obstacles. People in India also beautifies their home with torans, also known as Bandanwar. Torans are colourful wall hangings that add a vibrant essence to the decor. They are also considered an auspicious decor element for Diwali and are usually adorned with mango leaves and marigold flowers. You can also find beautiful patterns made of threads and lights and hang them outside your main entrance for a festive touch. Unlike in India, Diwali in Malaysia is called Hari Diwali and the rituals are a little different from those followed in India. The day starts with people bathing in oil and then offering their prayers at various temples. The people also celebrate the festival by exchanging gifts, sweets and good wishes. The Hindu community surprisingly comprises of almost 50 percent of Mauritius' population. Thus Diwali is celebrated with much excitement. It is a public holiday in lieu of the festival. Diwali is known as Tihar in Nepal and is celebrated with much enthusiasm here. Since Nepal shares its border with India, the excitement is somehow bound to transfer across boundaries. The festivities include the same - decorating the houses, exchanging gifts and offering prayers to Goddess lakshmi. 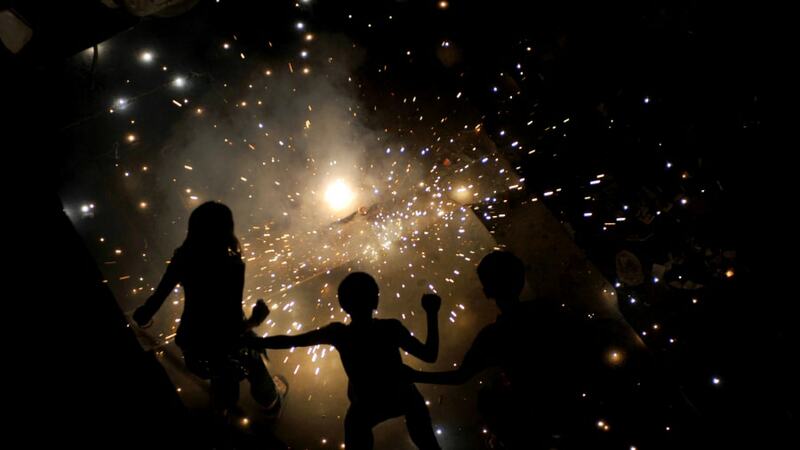 Diwali is the second biggest festival in Nepal after Dashain. Sri Lanka has a huge Hindu population, and thus Diwali is celebrated here with much fanfare too. Its proximity to India and the role it plays in the origin of the festival of Diwali is another reason why it is celebrated with so much excitement here. Canada is unofficially called 'Mini Punjab' because of the large number of Punjabis who are settled there. So much so, that Punjabi is the third official language in the Canadian parliament. Do we need to say anything more on why Diwali is a big deal here? If there is one place outside India where Diwali fever is at its peak, it is Little India in Singapore. The vivid rangolis, extensive decoration and the entire feel of the festivities are a sight to behold. Many cities in the UK, especially Birmingham and Leicester celebrate Diwali at a large scale because of the huge Indian community settled there. The festivities are almost as elaborate as in India, if not the same. The Caribbean islands celebrate Diwali with a lot of excitement and the elaborate theatricals depicting scenes from The Ramayana are a major part of the celebrations. Diwali or Deepavali is the biggest festival in the year for the Indian community in Vietnam. Hena painting, one of the activities held in Diwali celebration in Hanoi. Source: Indian Embassy in Hanoi. Recently, Diwali was celebrated at the Embassy of India and Swami Vivekananda Cultural Centre in Hanoi on 2 November 2018 and on November 3 in HCM.City. In each location, the event attracted around 1000 expats and Vietnamese interested individuals. The participants had an opportunity to immerse in Indian culture, through various activities such as Saree draping, cookery show, Indian traditional dance and songs, cuisines, etc./.